The 2017/2018 PGA Tour season has once again begun and if you have already been playing Daily Fantasy Golf for the last few tournaments then the PGA Golfers below may or may not be a surprise to you. We have below a list of golfers that will be undervalued a bit because they had a bit of a down year and they will be sleeper picks that we will look at for early in the PGA Tour season. If you are still in a season long fantasy golf pool, the PGA Tour Sleepers below are guys that either are poised for a breakthrough season, or solid golfers that had a bad year and are due for a rebound. These are also PGA players that you can use for Daily Fantasy Golf lineups (DFS) at sites like our affiliate partner DraftKings.com. If you haven’t tried daily fantasy golf yet…you are truly missing out! Don’t miss out any further – Sign up to our partner DraftKings and get a FREE Fantasy Golf Contest Entry Ticket when you make your 1st deposit of $5 or more. This DraftKings promo can change at any time so take advantage of playing for thousands of dollars just for joining. Enjoy the 2018 Fantasy Golf Season and good luck! Ollie Schniederjans – He was a rookie pick of ours last year and this year we see him making a bigger name for himself on the PGA Tour. Still under the radar (probably because no one can pronounce his name) but he won’t be by the end of the season. Jason Day – Day dealt with a lot of personal turmoil last year and never seemed to get on a run. He finished the year off strong so I would be expecting Day to get back to being one of the top golfers in the world and get back to winning. Rory McIlroy – Injuries slowed him last year and changing caddies never helps. Rory is too good not to be winning more tournaments so look for him early on in tournaments to be a fantasy golf sleeper pick for DraftKings lineups. Patrick Reed – Reed didn’t win a tournament last year but he still won $3 Million for the PGA Tour season. Although I don’t like Reed that much, I took him in my season long fantasy golf league and I expect him to challenge (if not win) one of the 4 majors this year. Kevin Na – Na used to be my go-to fantasy pick but last year he just wasn’t as reliable as he used to be. He did have a baby enter the family which always seems to derail golfers for a bit but I see Na getting back to making cuts again and being a cheap fantasy golf sleeper at our affiliate partner Draftkings. Bubba Watson – Watson was a disaster last year and barely scraped together $1 million in earning on the PGA Tour. He will still get entry into all the big tournaments on Tour so just one win will equal his earning s from last year. He will be better – how much better…we’ll see. Emiliano Grillo – I loved Grillo in his rookie year and was heralded as the next young gun on Tour. Last year he basically became average after the Christmas break. He will be fine and a great Fantasy Golf Sleeper Pick in all types of games and formats. 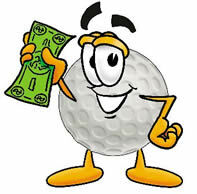 If you are already a player at DraftKings and have joined the other top fantasy golf site FanDuel, check out the other Top Fantasy Golf Sites and take advantage of their fantasy golf contests and FREE Bonus Offers. The 2018 PGA Tour Fantasy Golf will have people winning Millions of Dollars - use our list of Fantasy Golf Sleeper Picks to be one of those people!